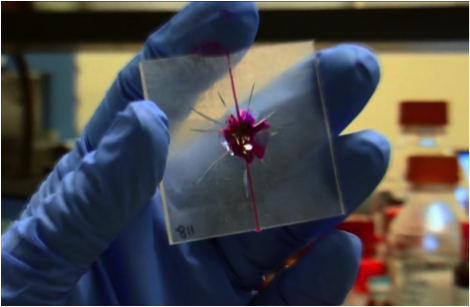 Self-healing materials, smart materialsNewsUncategorizedWhat Do You Know About Self-Healing Plastics? In order to achieve one such regrowth phenomenon, the new materials have been imbibed with “specially formulated fibers” that behave like capillaries that branch across the body of their host polymer. These are composed of two different lines that are completely parallel with each other, Every single capillary has “regenerative materials” that get mixed as soon as the damage is initiated. As and when it gets mixed, the binary regenerative cocktail releases a gel that moves across the crack or damaged parts and hardens the polymer to get it back to its original shape. Lead researcher of this project, Scott White, says, “For the first time, we’ve shown that you can regenerate lost material in a structural polymer. That’s the kicker here. Prior to this work, if you cut off a piece of material, it’s gone. Now we’ve shown that the material can actually regrow.” The team says that the synthetic materials can start to make a gel and harden it immediately, this ensures better efficiency of damage repair and reduces wastage of any of these materials in any way.